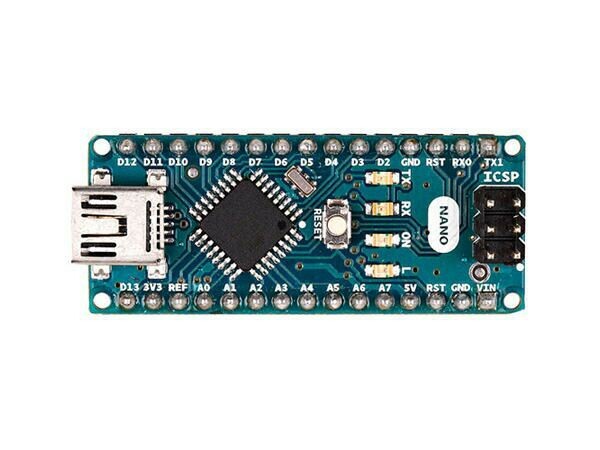 The Arduino Nano is a compact board similar to the UNO. The Arduino Nano is a small, complete, and breadboard-friendly board based on the ATmega328 (Arduino Nano 3.x). It has more or less the same functionality of the Arduino Duemilanove, but in a different package. It lacks only a DC power jack, and works with a Mini-B USB cable instead of a standard one. Weiterführende Links zu "Arduino® Nano Board"
Kundenbewertungen für "Arduino® Nano Board"